Central Features Contemporary Art, curator Nancy Zastudil, and Independent Curators International (ICI) are partnering to initiate the Visiting Curator Series which brings to Albuquerque a select group of curators working in the American Southwest region who will conduct studio visits with multiple local artists over the course of several months. After their visits, four of the five curators will each choose one artist to mentor for the following six months. In addition to regular conversations, in-person encounters will be made possible through the duration of the program via a travel budget provided to each artist to visit their mentors in their home cities. Collaborations in Albuquerque and the curators’ hometowns are encouraged so that regional partnerships can be activated or strengthened. Each curator will give a public talk about their practice, including the artists and the sociopolitical contexts that shape their work. The series will raise awareness for the role of the curator, contribute to the advancement and dissemination of contemporary art discourse, making it accessible to a wider public, and shed light on art movements and curatorial models that are still in formation. Curators may also travel beyond Albuquerque during their time in New Mexico to help lay the groundwork for expanding the program in subsequent years. VCS is funded in part by Common Field, Fulcrum Fund, and the FUNd at the Albuquerque Community Foundation. Click here to read about the artists selected for the 2018 VCS mentorship program. The submission deadline has passed for the 2018 cycle. Questions? Contact us. Curator Talk: Friday, February 23 at Sanitary Tortilla Factory, 5:30 p.m.
Cook has recently been appointed Artistic Director of On the Boards in Seattle, WA. Her visit is organized in partnership with ICI and with full financial support provided by Common Field. Please note: the application cycle for studio visits with Rachel Cook has ended. 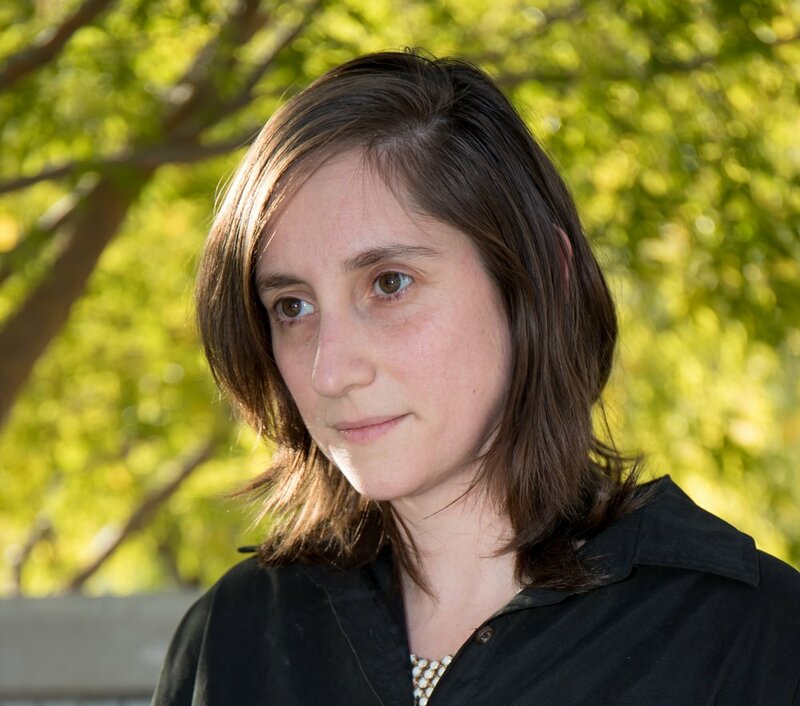 Curator Talk: Friday, May 18 at Central Features, 5:30 p.m.
Rotem Rozental is the Chief Curator of the American Jewish University in Los Angeles, CA. In this capacity, she serves as the Assistant Dean of the Whizin Center and the Director of the Institute for Jewish Creativity (IJC). She is a photo-historian, writer, and curator. Traversing the domains of technology, media and art, she has been working as a consultant, editor, writer, educator and organizer for international publications, cultural non-profits and organizations, among them Dia:Beacon, The Liverpool Biennial, The Brooklyn Institute for Social Research, and the Jerusalem Season of Culture. Rozental's scholarly and curatorial projects have been supported by Artis, Independent Curators International, NurtureArt and the Center for Jewish History (NYC). Most recently, she curated the dual exhibition Launch Sites L.A., which expands unto two sites in Los Angeles, several countries and a number of potential universes. Her writings and academic essays appeared in magazines, journals, and publications such as Photographies, Philosophy of Photography, Artforum.com, Tablet.com, and Uncertain States. She is currently pursuing her Dissertation project, in which she explores the intersections of Zionist photographic archives, the image of the body and the writing of a national territory under the guidance of Prof. John Tagg (Binghamton University, NY). She might need more coffee. See and read more at artbound.net. Rozental's visit is organized in partnership with ICI, with financial support provided by The Fulcrum Fund and The FUNd at the Albuquerque Community Foundation. Curator Talk: Friday, June 22 at the National Hispanic Cultural Center, 5:30 p.m.
Studies at The California College for the Arts from 1999 to 2010. He has curated more than 100+ exhibitions to date. Highlights as a curator include solo exhibitions with Superflex, Suzanne Lacy, Mary Kelly, Nina Beier, Pedro Reyes, Miguel Calderon, Yoshua Okon, Koki Tanaka, Pablo Helguera and retrospective exhibitions of George Kuchar and Miguel Angel Rios with group exhibitions including Bay Area Now Triennale and The Jumex Collection. Morales has received grants for curatorial projects from The Rockefeller Foundation, National Endowment for The Arts, Jumex Foundation, and the Diane and Bruce Halle Foundation amoungst others. Morales’ artwork has been shown nationally and internationally. Morales's visit is organized in partnership with ICI, with financial support provided by The Fulcrum Fund and The FUNd at the Albuquerque Community Foundation. Curator Talk: Friday, June 29 at South Broadway Cultural Center, 5:30 p.m.
Patricia Cariño Valdez is an Independent Curator based in Oakland, CA. Her goal is to support thoughtful artists and empower art appreciators to foster moments for community building centered on arts and culture. She is 1/2 of Casa de Palomitas, a collaborative project with Cesar Valdez. 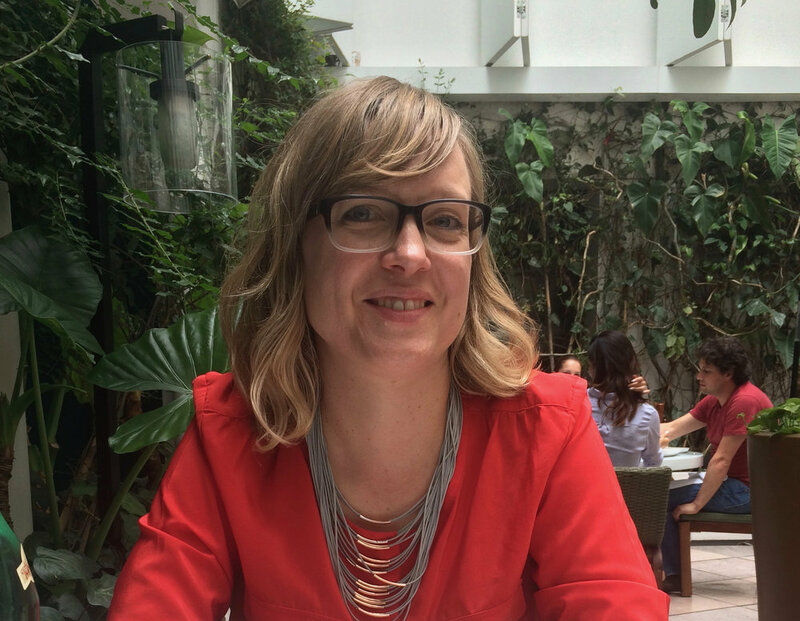 From Spring 2016 to Summer 2018, she served as the Curator and Director of Public Programs at the San Jose Institute of Contemporary Art (ICA) in California, where she oversaw exhibition coordination of over ten contemporary art exhibitions per year. Additionally, she developed public engagement initiatives including ICA Live!, a performance art program, and Talking Art, a series of panel discussions and artist lectures, portfolio reviews, and workshops. She Instituted the first national call for site-specific installations and implemented a pipeline for future art commissions. Prior to the ICA, Valdez created public programs that were invested in the the intersection of arts and sciences at the Exploratorium in San Francisco. Additionally, Valdez worked closely with a San Francisco art advisor to help build and expand private art collections throughout the U.S. 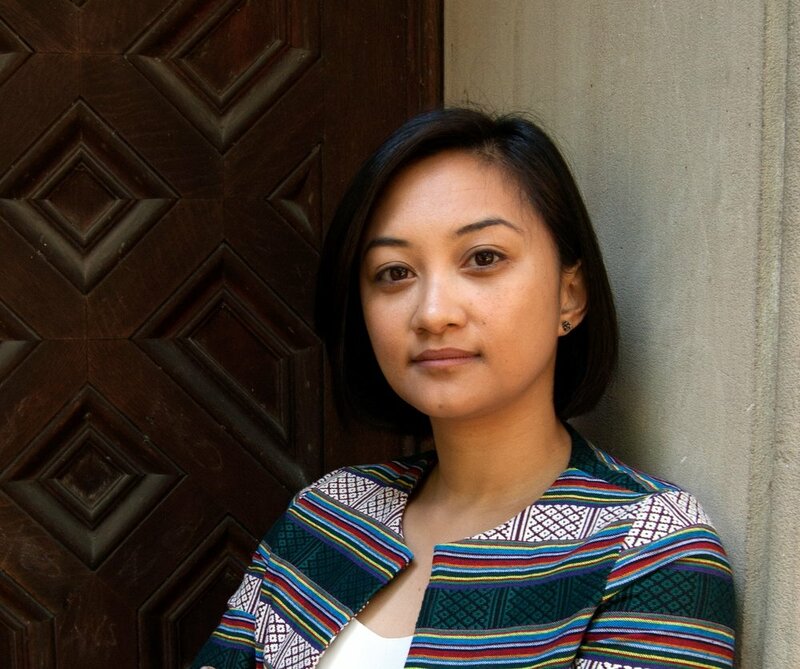 Her curatorial projects have been held at the San Francisco State University, Wattis Institute for Contemporary Arts, Asian Contemporary Arts Consortium, Oakland Museum of California, Pro Arts, California College of the Arts and numerous independent galleries and art spaces in San Francisco and Oakland. She was born in Manila and grew up along the West Coast of the U.S. Valdez earned a BA in History of Art from the University of California, Berkeley and an MA in Curatorial Practice from the California College of the Arts. Cariño's visit is organized in partnership with ICI, with financial support provided by The Fulcrum Fund and The FUNd at the Albuquerque Community Foundation. Curator Talk: Friday, October 12 at Tamarind Institute, 5:30 p.m.
Humberto Moro is Curator at the SCAD Museum of Art in Savannah, GA, where he has organized solo exhibitions by Glen Fogel, Mario Navarro, Oliver Laric, Liliana Porter, Cynthia Gutiérrez, Pia Camil, Mariana Castillo Deball and Tom Bur. Moro is Curator of New Proposals and SAMPLE, sections at Zona MACO, Mexico City. He was most recently Director and Curator at large for Colección Diéresis, Guadalajara. He was previously Assistant Curator and collection ordinator at Museo Jumex, Mexico City. He has curated exhibition projects such as Residual Historica Haunting at Johannes Vogt Gallery, New York; Overburden at the Hessel Museum of Art, New York; Measuring the Distance by Gonzalo Lebrija at La Casa Encendida, Madrid; and Witness of The Century at Museo de Arte de Zapopan (MAZ), Guadalajara. He was a recipient of the Estancia Tabacaler research fellowship for Latin-American curator 2016, Madrid, Spain, and was part of the 7th Gwangju Biennale International Curator Course, in Gwangju, South Korea. He has written about the work of Jose Dávila, Guillermo Mora, Ana Tiscornia and Tom Burr, and published the book Possibility of Disaster by Gonzalo Lebrij, among others. Moro's visit is organized in partnership with ICI, with financial support provided by The FUNd at the Albuquerque Community Foundation.